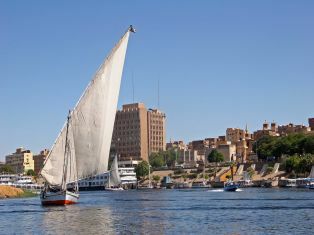 Our qualified Egyptologist Guide will pick you up from your hotel /Nile cruise in Aswan to start your journey by Felucca sailing around Elephantine Island on the beautiful Nile which has a water level to show if it is high or low, this was built by the Pharonic people . 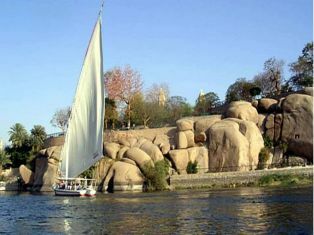 As you sail along you will see Agha Khan Mausoleum which is situated ontop of a hill.On the West Bank the hillside is marked with the Tombs of the Nobles which your Guide will briefly explain the history as you sail along. Then visit the serene Botanical Gardens which include some rare and exotic plants from all over the world. it is an ideal place to sit and enjoy some peace and tranquillity. 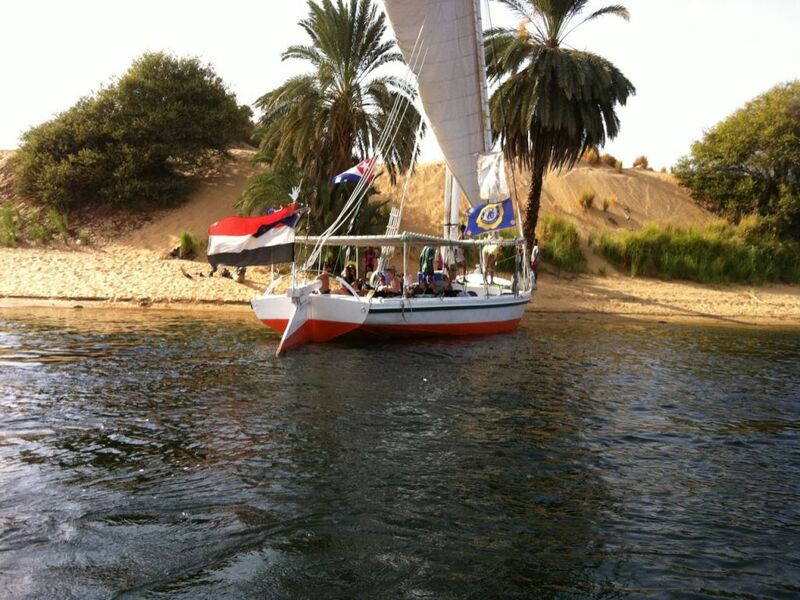 After your visit enjoy your return journey back to your Hotel / Nile Cruise in Aswan.